Engine capacity - what does cc mean? Any true car enthusiast will be able to tell you all about their engine, and one of the first points they’ll raise is how big it is, usually using a measurement that sounds suspiciously like a corn chip, or cc. So what is engine capacity, and how does it relate to how good an engine is? Put simply, engine capacity is a measurement of engine displacement. When someone says they have a “two-litre” engine, that is the cylinder capacity (otherwise known as volume) in each cylinder inside the motor. These figures are then added together and displayed as a round figure. So, a four-cylinder engine with cylinders displacing 500cc of volume each has an approximate capacity of 2.0 litres. However, a 12-cylinder engine with 500cc of cylinder capacity would have a total displacement of 6.0 litres, making it a far larger engine. In fact, large engines are often known by their capacity, like the 351 Ford GT (which has a displacement of 351 cubic-inches), or the Monaro GTS 350 (350 cubic-inches). Engine capacity is displayed in several formats, including litres, the imperial measurement of cubic-inches, and also cc. What does cc mean? That refers to cubic centimetres, or the metric measurement of engine capacity. The volume of a cylinder is calculated by measuring the diameter (also called the bore), as well as taking the swept volume of the cylinder, which is the length the piston will travel up and down in that cylinder (also called the stroke). Put simply, bore multiplied by stroke gives you cylinder volume, and then you multiply that figure by cylinder count and you have the capacity of the engine. I know what you're thinking; "so what is the engine capacity of my car?" How to calculate engine capacity is a little complex, so follow along with the two examples below. I have done one in metric measurements and one in imperial to make it easier to understand. 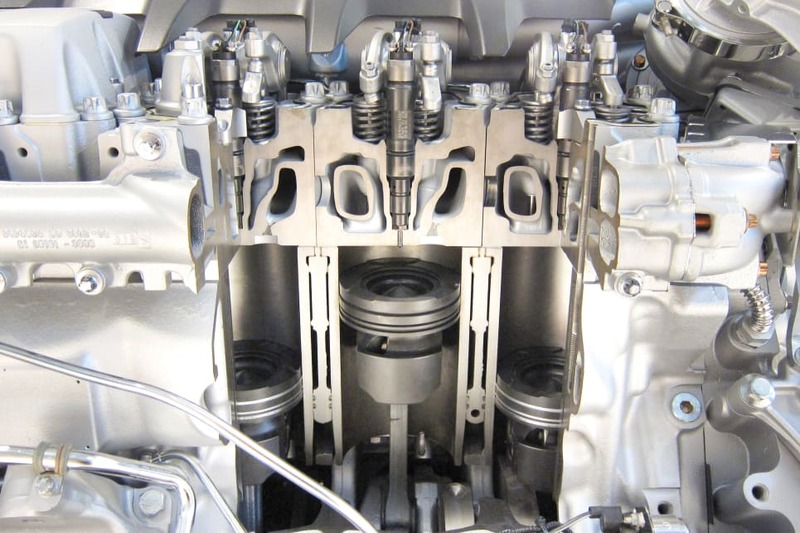 A 1.6-litre four-cylinder engine with a bore of 100mm (10cm) and a stroke of 50mm (five cm) can be calculated out by taking Pi (3.1416), divided by four, multiplied by the bore (10cm) squared, multiplied by the stroke (five cm), and multiplied by four (cylinders), to give 1570cc. A gigantic 427 cubic-inch Chevrolet V8 has a bore of 4.312in and a 3.65in stroke. Take Pi (3.1416), divided by four, multiplied by the bore (4.312in) squared, multiplied by the stroke (3.65in), and multiplied by eight (cylinders), which works out to be 426.4 cubic-inches. Are you all over your car's cc measurements? Tell us in the comments below.